Welcome to the Wicked Printing Stuff screen printing blog, check our website for all your Screen Printing Supplies. We provide a wide range of high quality equipment, products and services at an unbeatable price. 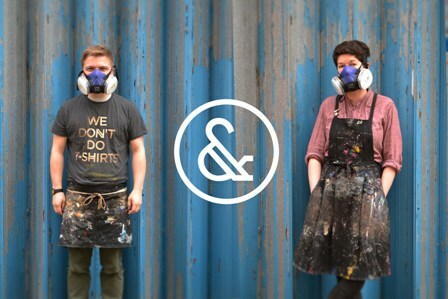 We welcome contributions about news, artwork and business start-ups for the screen printing blogs. Our client Insley & Nash first opened their doors 5 years ago in a tiny studio in Greenwich. 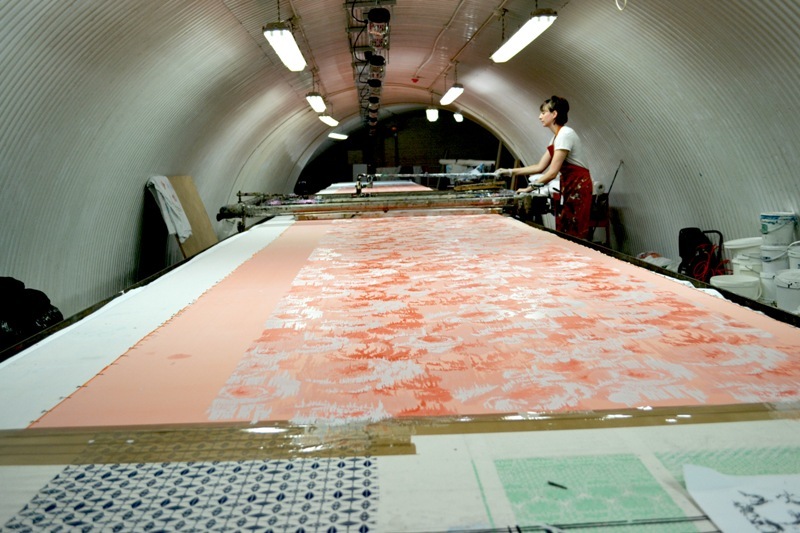 Finding that all the fun parts of screen printing like metallic inks, foiling and devore were in such demand, the company soon outgrew the small self-built studio and moved into a train arch in Deptford. The company has grown into one of the most innovative and exciting modern textile manufacturing facilities in the UK. 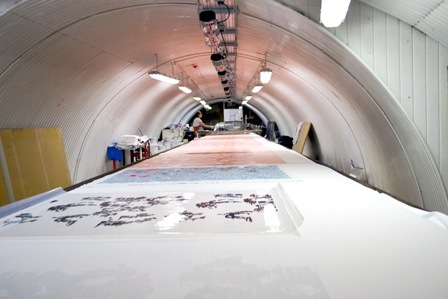 Specialising in bespoke screen printing and dyeing, Insley & Nash offer the highest quality textile solutions for world-renowned clients such as Disney and Kensington Palace. The company expanded last year to include Digital textile printing through their sister brand &Digital. The service is offered through a unique and modern website, catering for the growing digital conscience client. Most recently Insley & Nash have been shortlisted for the UKFT Textile Business of the Year Award. Ps in case you wondered according to Wiki “Devoré (also called burnout) is a fabric technique particularly used on velvets, where a mixed-fibre material undergoes a chemical process to dissolve the cellulose fibers to create a semi-transparent pattern against more solidly woven fabric. The same technique can also be applied to textiles other than velvet, such as lace or the fabrics in burnout t-shirts. What is the best exposure unit for my screen printing business? How can I get rid of Pinholes?